Opiate addiction is a rising problem in the United States. Read here if you want a better understanding of the stages of addiction from painkillers to heroin. Unfortunately, the leading cause of accidental death involves opioids. In 2015, there were reportedly over 50,000 drug overdose deaths. The stages of addiction begin in the form of prescription medication which often leads to a long-term abuse of other drugs, such as heroin. Prescription pain meds are necessary to treat injuries, but abusing them often results from misusing pain pills over a long period of time. Want a better understanding of how the stages of addiction go from using opiate painkillers to treat an injury to ultimately causing drug abuse problems down the road? Keep reading this article for a detailed explanation of how the opioid crisis affects millions of Americans today. Prescription opiates are readily available because a lot of doctors prescribe them. Most people will use opiates, such as Vicodin, OxyContin, or oxycodone, for medical reasons to treat severe injuries. How Do Prescription Pills Help With an Injury? For example, a difficult sports injury may require prescription-strength opiates to ease the pain associated with the recovery process. Some medications are not strong enough to handle the sports injuries even top sports athletes face. Opiates aid in pain relief because they block the transmissions made from the spinal cord to the brain that carry the pain message. They inhibit the nerve cells to block the firing of painful neurons in the body. Although opiates can block the right transmission of pain messages through the body, they often aggravate and alter other areas of the brain. This is when the stages of addiction can begin to take place. Opiates are used to treat pain symptoms associated with injuries. Doctors prescribe them with caution on a daily basis, as they can lead to drug abuse if misused. How Do Prescription Opiates Work? Opiates are responsible for altering the way a person feels through the power of inducing pleasant feelings in the brain by activating the brain’s reward center. Over time, taking the drug will develop a tolerance. Your body will crave the drug and need it on a regular basis to feel the same level of wellbeing. The drug will need to be in your system or else your body will experience symptoms of withdrawal. Between 26.4 and 36 million people abuse opiate drugs in America. Withdrawl symptoms are not pleasant which is why so many people struggle with ending their patterns of continual drug abuse. One may experience uncomfortable side effects of withdrawal which include vomiting, nausea, sweating, anxiety, and abdominal pain. These painful symptoms can last anywhere from an hour to up to a week once the drug is no longer present in the body. The physical dependence is what triggers the brain to expect the drug to be in the system and leads to a compulsive desire to seek out the drug. After prescription painkillers have entered a person’s system, there is a high probability that drug abuse will take place. The powerful strength of the opiates is something a user will not want to give up because he or she knows the withdrawal implications will follow. Introducing the body to opiates is a dangerous path that often leads to smoking and even shooting other addictive drugs, such as heroin. Heroin is a lot cheaper in comparison to prescription opiates, too. Addicts will start out using prescription opiates and then transition over to heroin because of its price point and how strong the effects can be. Heroin is another option for drug abusers as prescription painkillers require hard work to obtain. Heroin is easily obtainable and provides the same euphoric feeling that a person will experience while on other opiates such as Vicodin, OxyContin, or Oxycodone. There are a few stages of addiction that explain how a person starts out with a prescription pain medicine addiction that turns into a heroin addiction. This is the first in the various stages of addiction because the user is experimenting with drugs. Many types of drugs, such as prescription painkillers, will be tested out during this initial stage until the user has found the one, usually heroin, to provide him or her with the best sense of euphoria. The next step in the stages of addiction to heroin includes the first dose where the person will experience a high that is also accompanied with adverse effects such as vomiting. However, the high is so powerful that an addiction will start soon after to maintain the pleasant feeling. The heroin provides the user with a rush of pain relief that is hard to give up. The third stage in the stages of addiction involves commitment. The user is now choosing to shoot heroin on a regular basis and a habit is forming. In order to keep feeling euphoric, the drug becomes a source of dependence. Once the habit has begun, implications will begin to take shape and relationships the user has with friends and family will suffer. Loss of control is another one of the stages of addiction that will happen to a drug abuser. Their entire life will be affected by the heroin addiction, from work to personal family life. The drug is so powerful that it will control his or her brain at all times and demand to feel the drug in order to stay in a pleasant state of mind. The opiate epidemic is all around us. If you or a loved one has an opiate addiction, please understand how important it is to be vigilant about seeking treatment. 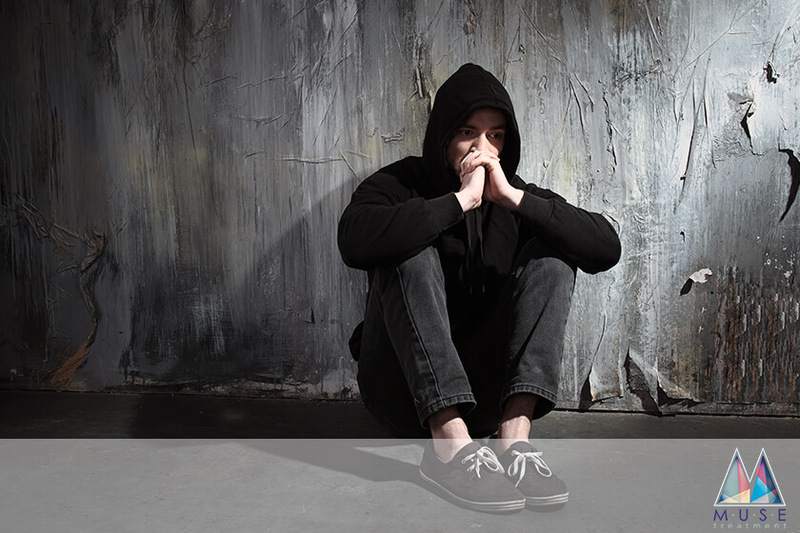 At MUSE Treatment, we offer a wide range of professional addiction specialists to help you through a drug addiction. We provide our clients with several rehab options that are suited for all different types of situations. Our team is ready to guide you on your journey to find peace after you work toward conquering your drug abuse. Look into our list of helpful drug addiction rehab programs that have already changed many lives.